Just as there are numerous ways to design b2b websites that serve multiple audiences, there are various ways of approaching the website IA to guide multiple user types down their respective paths. The examples below represent some, but by no means all, viable options for approaching disparate audiences. 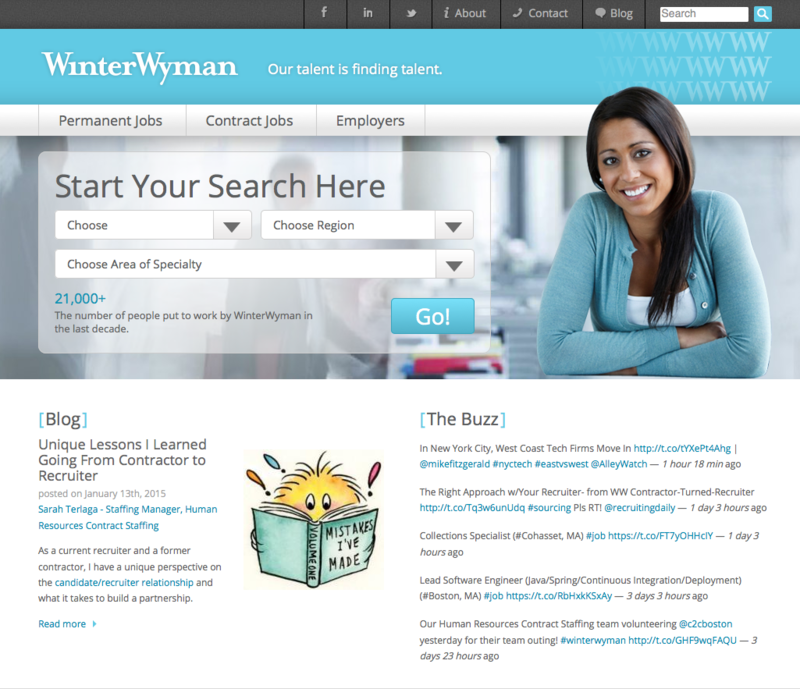 Providing navigation by persona is an approach often utilized by Executive Search firms, such as Winter Wyman (left). Arriving at the homepage one is presented with distinct choices depending on whether they are Employers or Job Seekers. They need not wade through any irrelevant content before they see where to go. Persona-based navigation can also work for businesses offering disparate products, such as companies that have grown through acquisition. 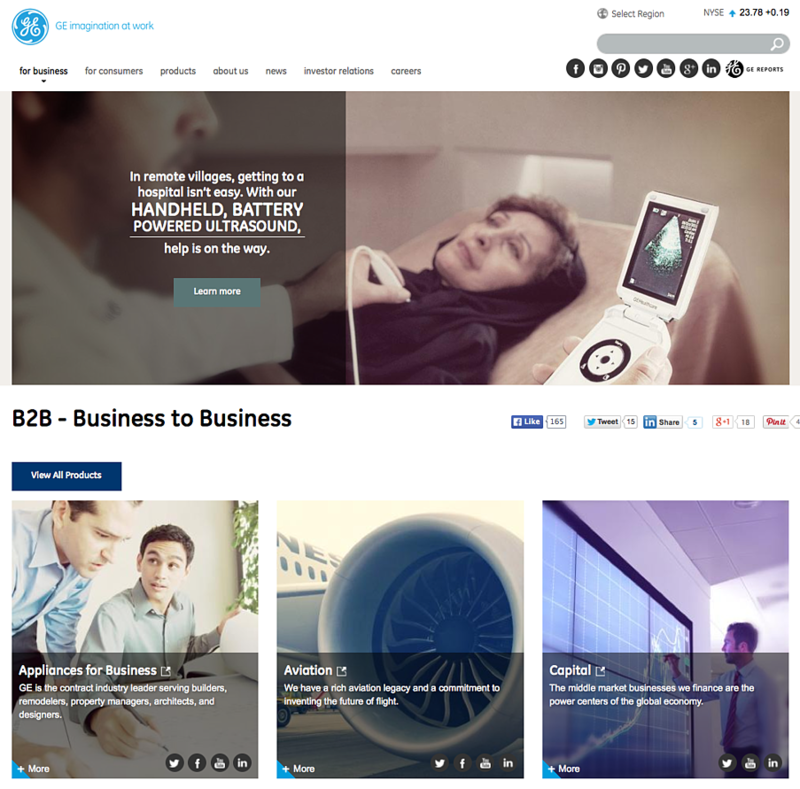 The General Electric corporate site is another example of an audience based IA. Right in the top navigation, they segregate by B2B, Consumer and Products. They also use the "tiles" design motif, which I referenced in my previous post, "How to Build a Website That Serves Multiple Audiences, Part I," to introduce their many different business units. 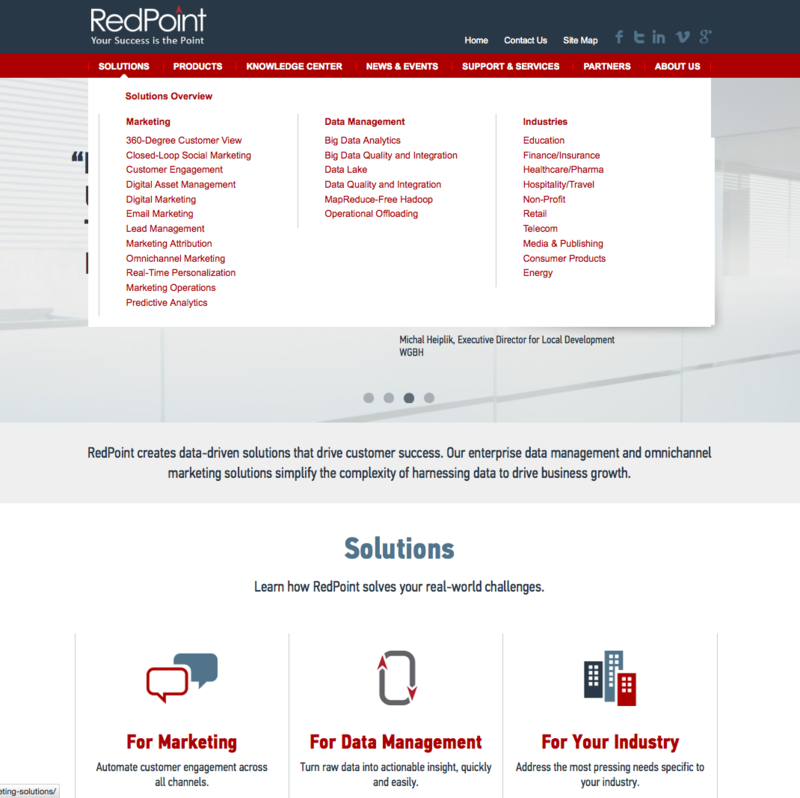 For our client RedPoint Global (below), a marketing software automation firm, rather than defining specific audience types at top navigation level, we addressed the business problems RedPoint solves for their audiences by creating three distinct "Solutions" sets — Marketing, Data Management and Industries. These are visible on drop down menus from the top navigation and also in the designed panel one finds when scrolling down from the main home page panel. 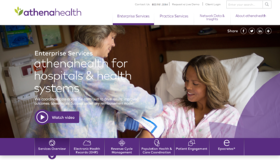 Athena Health brings this "solutions" approach to IA, up a level into the top navigation and also in the main image area to reinforce two distinct audience pathways: Enterprise Services and Practice Services (below right). 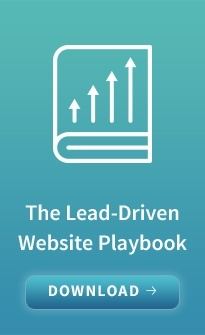 They then create "landing Pages"(below left) for each audience, that could be considered "microsites," both of which contain their own sub-navigation, reflecting the depth of their expertise and offering. Think about your different audiences as more of an opportunity to create a unified message leading to greater market penetration, as opposed to considering one product as being a distraction or impediment to the clarity and success of another. Regard the homepage as your key corporate branding opportunity. This is where you establish the common values and benefits that underlie the "umbrella brand" and applies to all products and solutions, regardless of audience. Keep content in mind when you decide on IA structure. Content for a site defined by personas will be very different from a Solutions based approach. You must be comfortable writing to whichever IA model you choose. Use audience or solution segmenting to build a content engine that continually yields relevant content for each product, solution or audience. Establish an "editorial calendar" for creating web content and offers. Make this a team effort, where possible. The more targeted, relevant content you produce on a regular basis, the better your search rankings will continue to be.